There are a set of important characters alongwith the protagonist. Though there is no particular feature of a character per se that stands out, however, all of them together make for an amazing hunt and chase story. The state of emergency ends on a positive note thereby reiterating the feeling that all is well that ends well. This story does give loads of things to mull over. Are we really turning into zombies in the real world thanks to our addiction to technology? Is humanity waning away? Why are people turning so animalistic? Has the zombie virus released in the real world too? Few questions my brain asked me to which I am yet to find the answer. To sum up, I wish there is a sequel to this story because I feel there could be more in store. 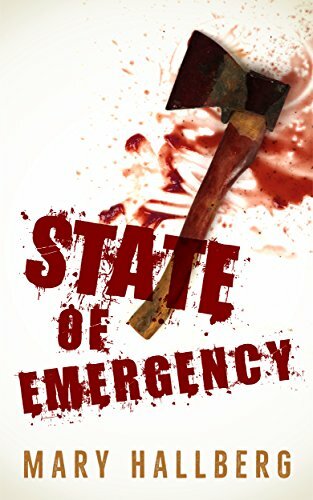 Mary is an amazing writer and this amazingly excellent story is a must read, especially for those interested in paranormal and zombies. P.S - Thanks a ton Mary for a zombie story that definitely gave me loads of food for thought. This review is my honest opinion after reading the story.